Pre-inked, one-color stamp imprints the word "Original" in blue uppercase letters. Microporous ink surface produces a clean, crisp impression every time. Design features a soft-touch grip and flip-open lid. Message stamp offers an impression size of 9/16" x 1-11/16". 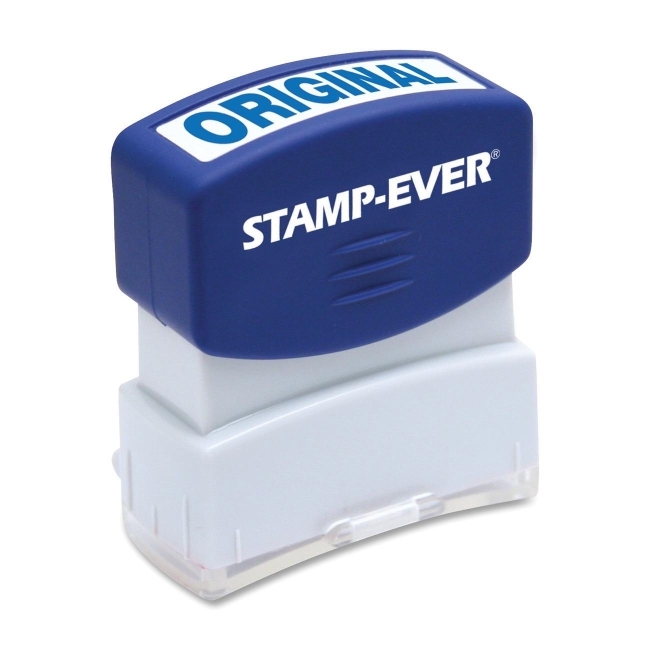 TAA compliant stamp lasts for 50,000 impressions before reinking.